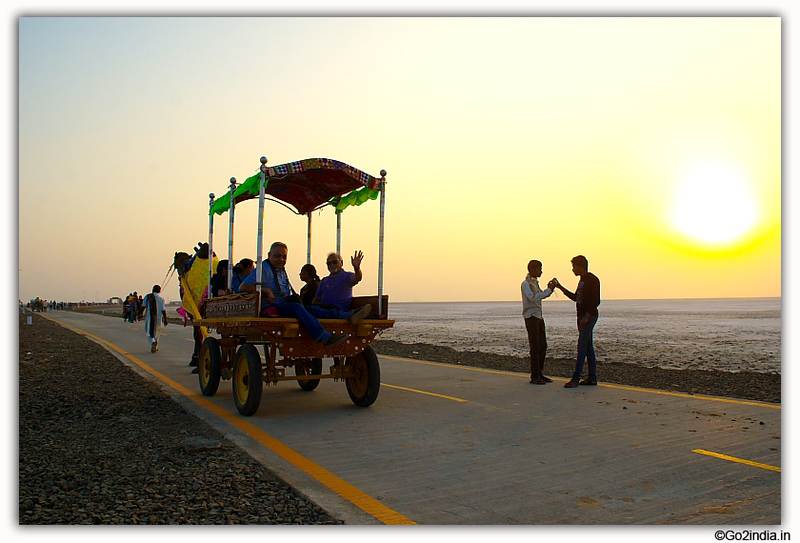 This is a beach town of Kutch district of Gujarat state. This town is popular for its old trade of ship building. You can see several ships under construction here. 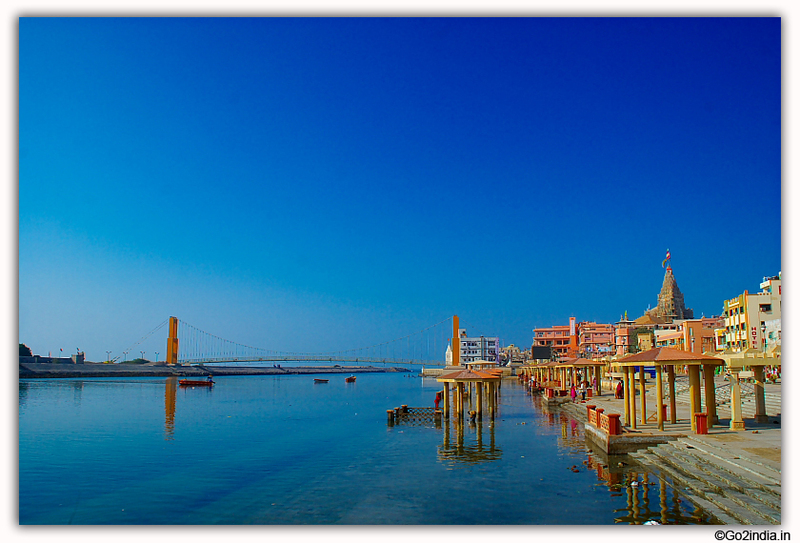 There are four important tourist places near Mandvi. We visited such a village at near Mandvi . Gone to a weaver family. Ladies here prepare Bandhni sarees. These sarees they supply to different cities upto Mumbai. Very simple people. As the products are prepared by hand weaving so it takes nearly three months for one artician to prepare one sharee or dress material. 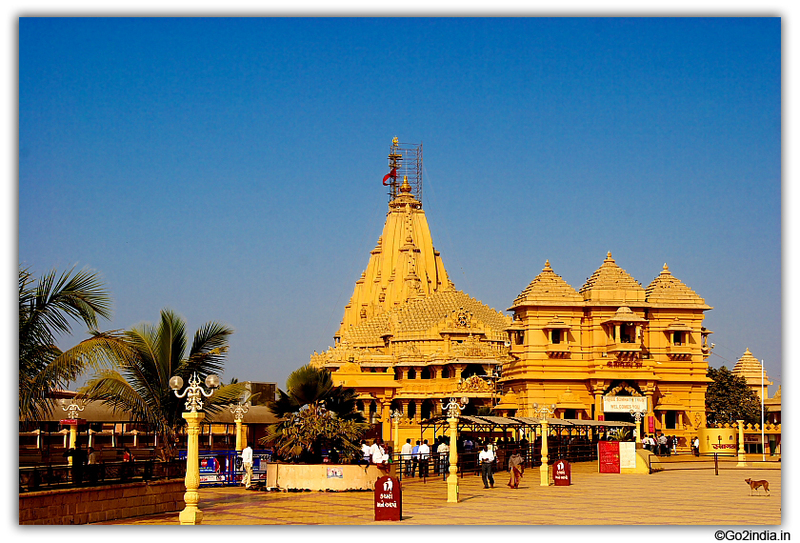 It will take 15 minutes to reach the temple complex from Mandvi. There is a big parking area and a garden before the temple. This temple of goddess Durga known as Mother Amba Devi. 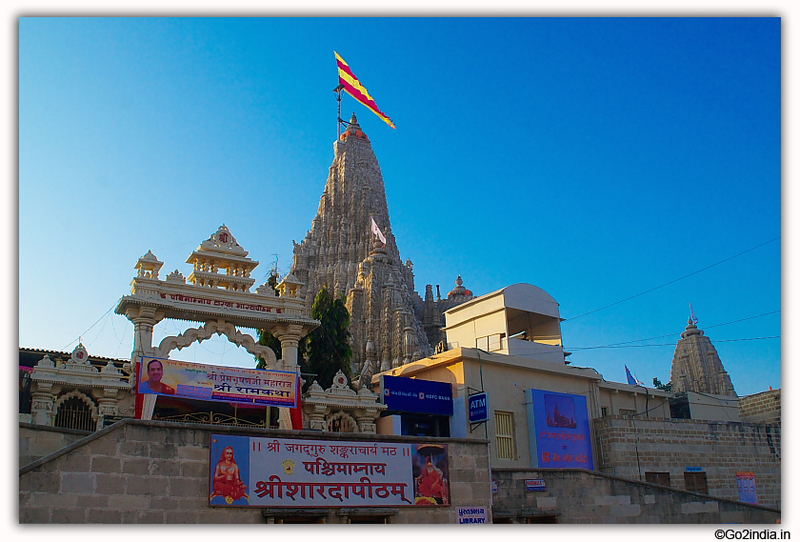 This is a well maintained marble temple constructed by using white Marble stone. Exhibition hall and hill temple. The main attraction of this temple is two exhibition halls. The first one is located behind the main temple. There is a entry fee of Rs 10 /- at first exhibition hall and the same ticket is valid for the second hall located at few meters distance. It is a totally different world inside. In the first exhibition hall the evils of modern life style is displayed and before that the good culture of old days society is highlighted. Small size dolls and different toys are used to created different characters displaying human life. In the second exhibition hall all types of religious origins of through out the world is explained by using dols and toys. 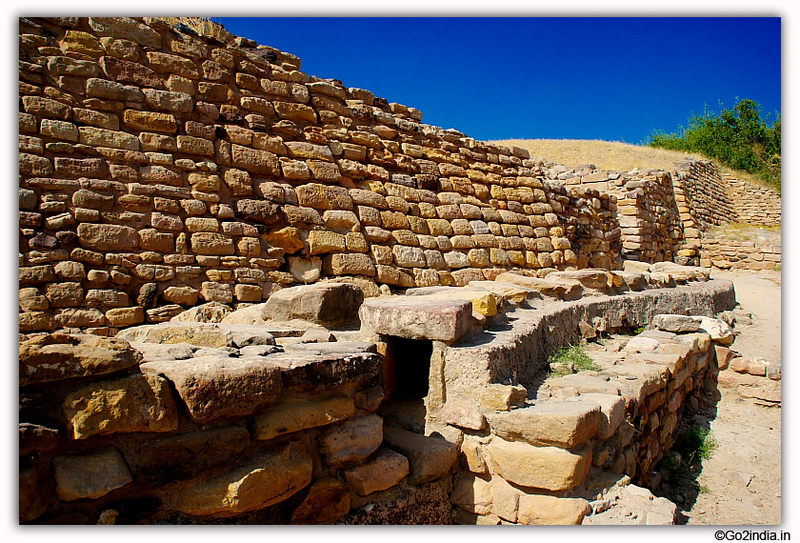 After the second exhibition hall you can visit narrow cave type well constructed temple. 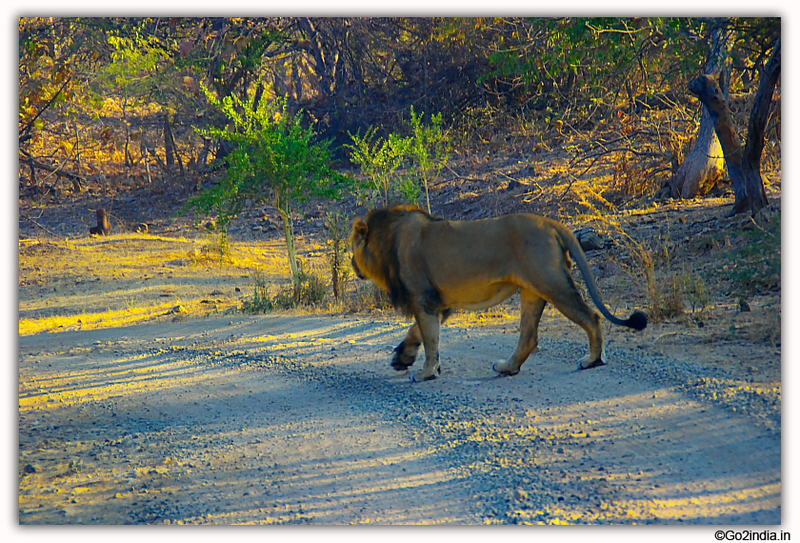 You have to pass through narrow paths and reach the top of the hill ( two floor height ) , then you can descend and come out to parking area. Inside the exhibition hall photography is not allowed. This sea beach is located at a distance of 10 KM from Mandvi town. This town is popular for ship building and you can see small and big size boats under construction. The town looks quite old in nature with lanes and old buildings. At the center of the town take food at Osho hotel . Here you will get Gujarati Thali or full meal. There are different variety curry available . Price per meal is Rs 100. Mandvi to Bhju is 60 KM.